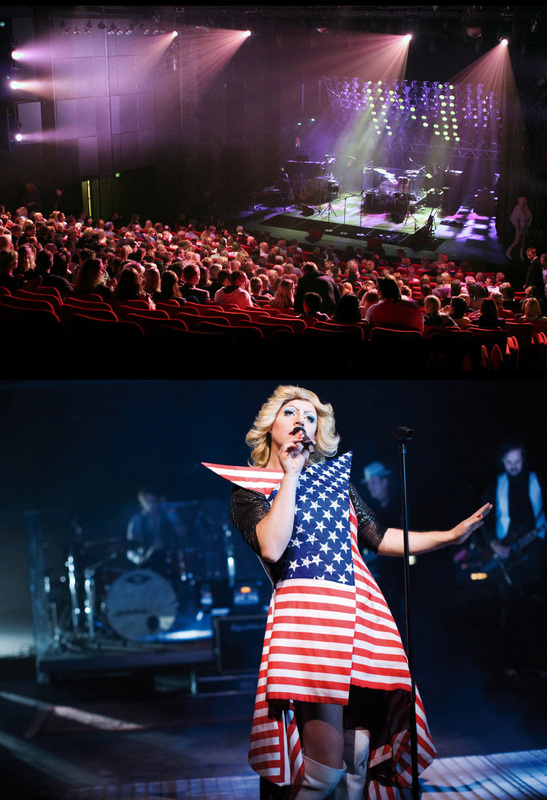 Nørrebro Theatre has a 100-year long theatre history and in the spring of 2007 the historic theatre came under new management and adopted new goals. 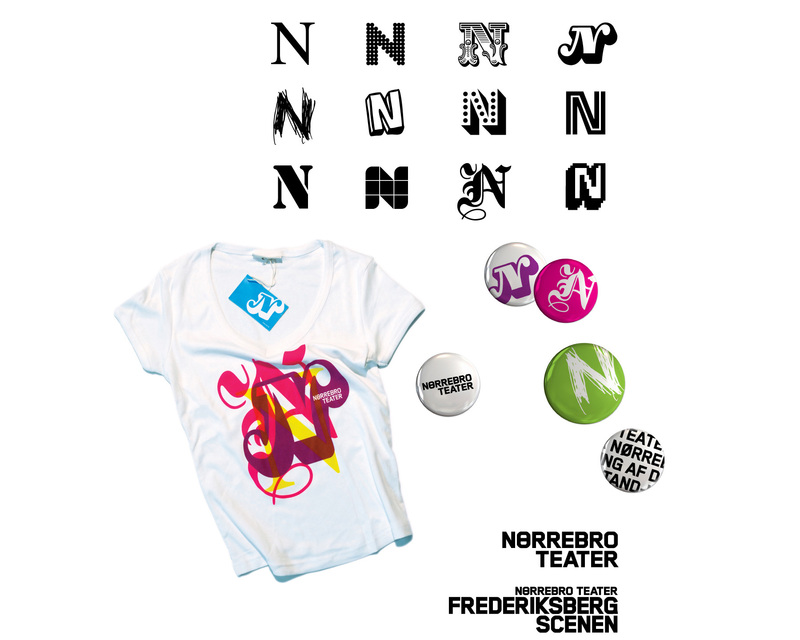 The new Nørrebro Theatre will nourish the continuation of its long and distinguished history but will also challenge and surprise with its vision to tackle contemporary comedy and create, “Entertaining theatre with content”. 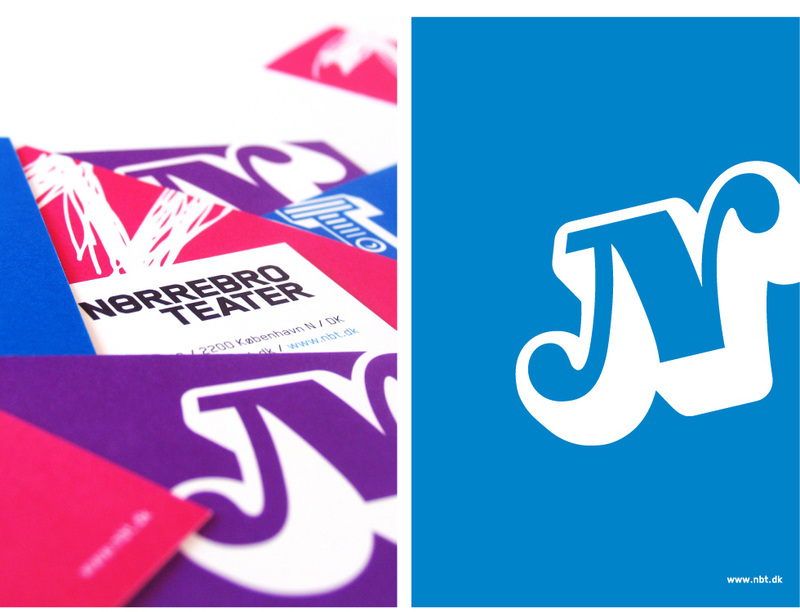 Nørrebro Theatre will be a democratic, versatile theatre where everyone is welcome. The new visual identity should both further the theatre’s traditions and revitalise the theatre's expression. 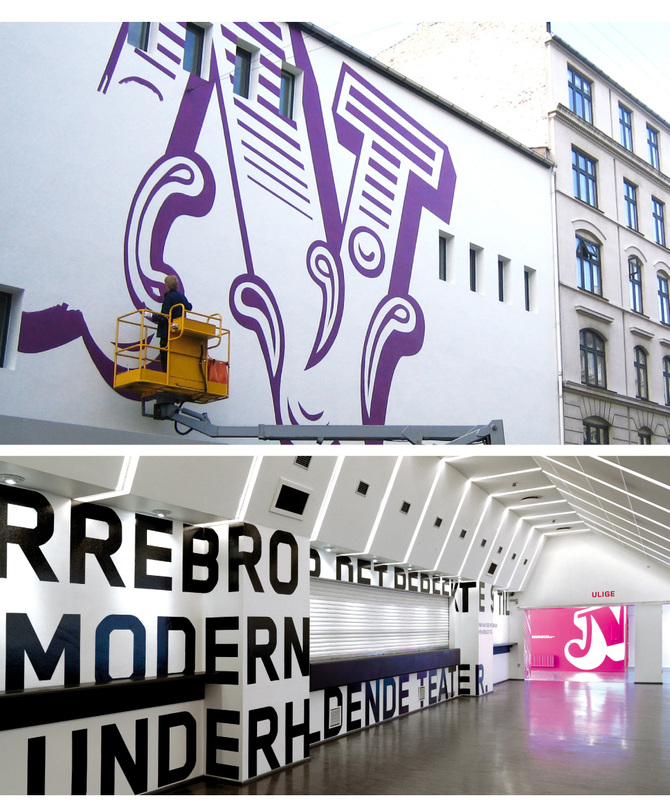 The solution sprang from the multicultural, raw Nørrebro quarter where the theatre is located. 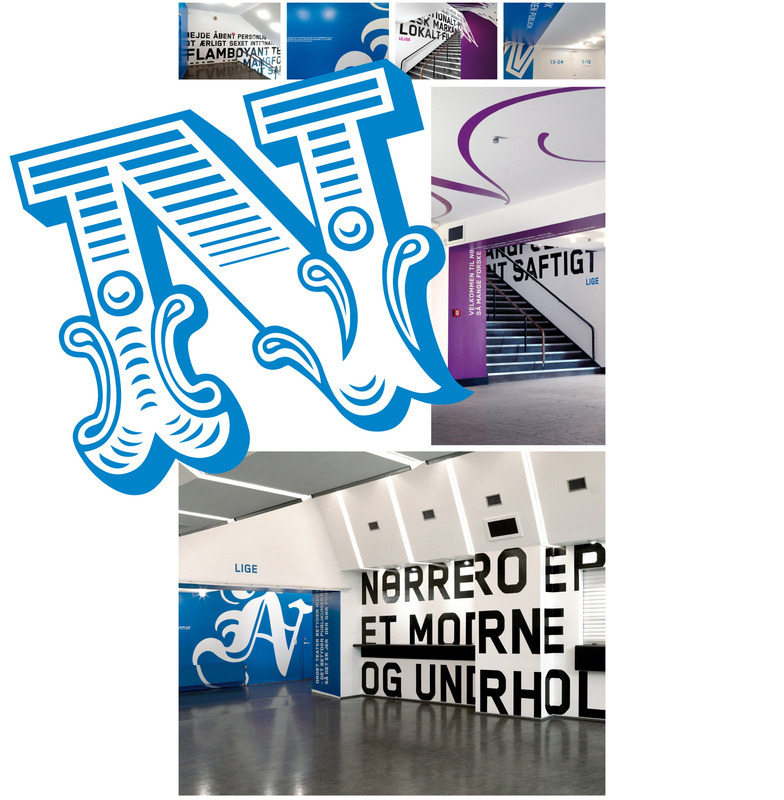 The identity consists of a logo, a range of Ns and a wide palette of strong colours. The Ns, each one individualised in form, express the theatre’s versatility and broad audience. The Ns and the colours give life to the identity with a liveliness that is further emphasised by the free-form style in which they are utilised, almost like graffiti tags. 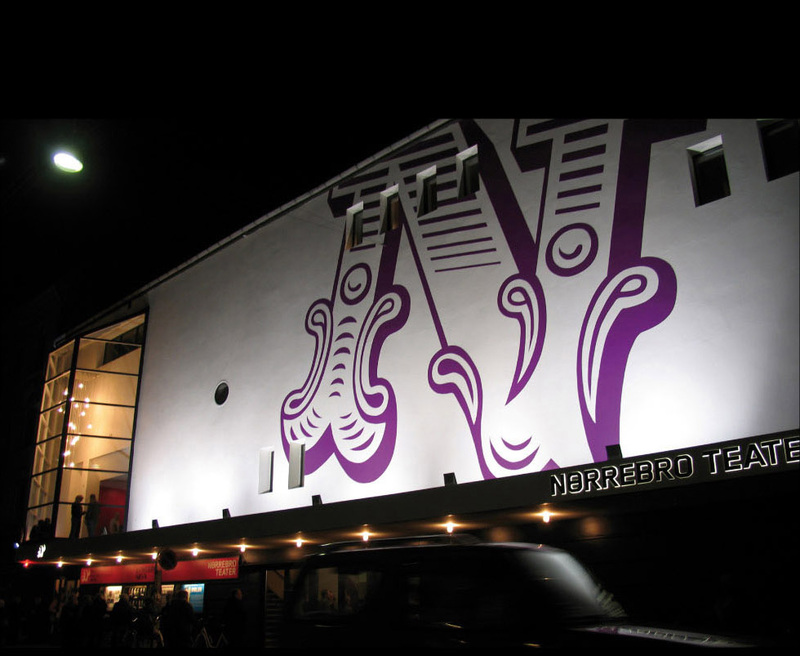 By way of contrast to the colourful and characteristic Ns, a hard black typography was chosen for the logo to express the theatre’s new visions. This way, the form and content of the identity are balanced in a way that reflects the theatre’s performances, from badges, posters, T-shirts and interior to the 15-metre high facade.